We are the leading manufacturer and supplier in Reaction Vessel or equipments are totally sealed from the atmosphere. 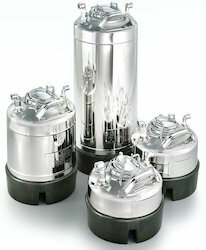 Mixing tanks are designed to disperse two or more chemicals together. Reactors on the other hand, allow the chemicals inside to go through a reaction phase which ultimately produces material with new and different chemical properties. According to the needs and demands of our customers, our company is engaged in offering a quality range of Pressure Vessel. This Pressure Vessel is light in weight, hence can be easily moved from one place to another with less effort. 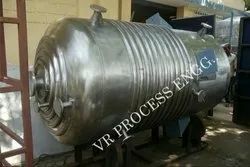 In addition, Pressure Vessel is widely known for its excellent performance and anti-corrosive properties. With vast industrial experience, we are involved in offering a wide range of Horizontal Pressure Vessel. Hydraulic pressure vessels is a container designed to hold gases or liquids at a pressure substantially different from the ambient pressure. We are a highly acknowledged organization, engaged in presenting a remarkable range of Multi Vessel.